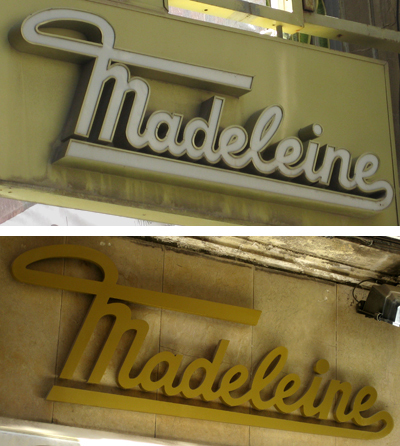 Before the present era of rigid branding practices, it wasn’t unusual for mid-tewntieth century building signage to feature different takes on the same wordmark. (Canter’s Deli in Los Angeles is a prime example of this.) While these specimens aren’t terribly divergent from one another, they each manage to maintain a slightly different flavor.